It’s almost time to say goodbye to 2017 so say hello to the New Year with as much fun and entertainment as you can. Whether you’re looking for something to do with a group of friends, or events to bring the whole family along, there are always things to do in Central Ohio. Here are a few events going on near you this month. What: This is a 3-hour class for beginners, and your pets will already be sketched out on all canvases! No experience is necessary, and all supplies are included with artist instruction & sketch. For time constraint, we allow only 1 pet per canvas, and 1 painter per canvas. Our stretched canvases are 16″x20″. Once you register, please e-mail a photo of your pet to info@thestudio614.com, so that we can sketch it on the canvas before class. Please be sure that the photo is clear with proper lighting. Only one pet per canvas. It could be a photo of any size-Instagram square, portrait, landscape, circle, etc. We may zoom-in when sketching it. 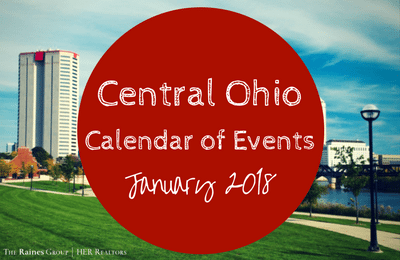 For a full list of things to do in Central Ohio this January visit the Experience Columbus website!